This dish was suggested by my brother who is a qualified cross-fit trainer, ex-triathlon athlete and all round fitness fanatic whose love of food sometimes wins out over the desire to be healthy (he’s only human!). My brother doesn’t abide by the motto of having everything in moderation and if he’s going to do something he does it properly, including cheat days. And so his suggestions for Challenge 52 include Philly Cheese Steak, BBQ chicken wings and, what he calls, “the mother of all milkshakes”. Not exactly the picture of health but some great choices from my big brother! 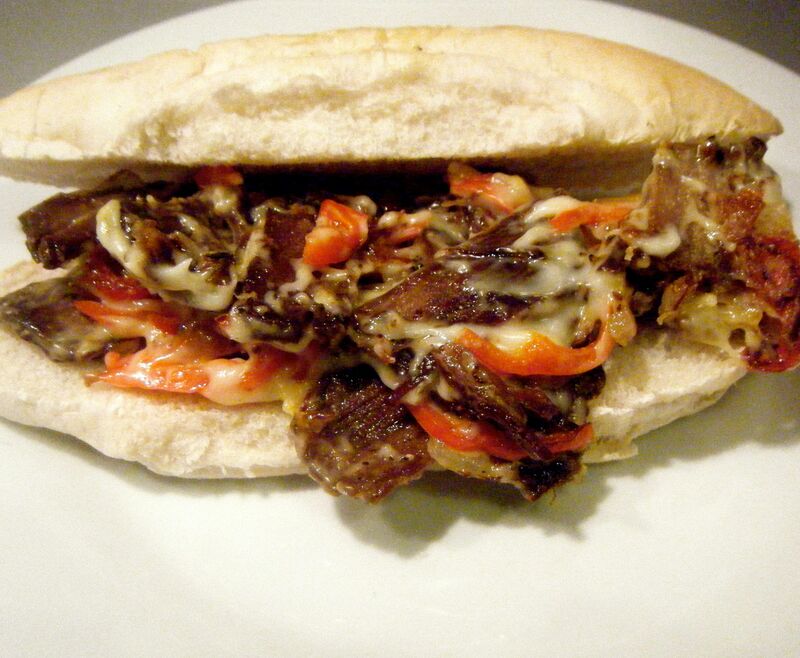 I’ve already made the chicken wings and now its time for the Philly Cheese Steak – a wonderfully cheesy beef mess served on a lovely soft white roll. Whilst I had heard of of the dish, I actually hadn’t ever eaten one. I did a bit of searching online and was presented with a plethora of versions. Some used mushrooms whilst other didn’t, some used leftover roast beef whilst others used fresh beef steak and so on. The starting point was the beef. I discussed the options with my boyfriend Dave and we decided to go for left over roast beef. A common problem with roasts when there are only 2 of you is what to do with the left overs and this seemed like a great solution. So on Sunday I cooked a roast dinner using beef brisket. I slow cooked this until it was at a good carving point but not quite at a shredding point. We had a 1kg joint and I cooked it for around 2hrs 30 minutes at 170 degrees celsius. 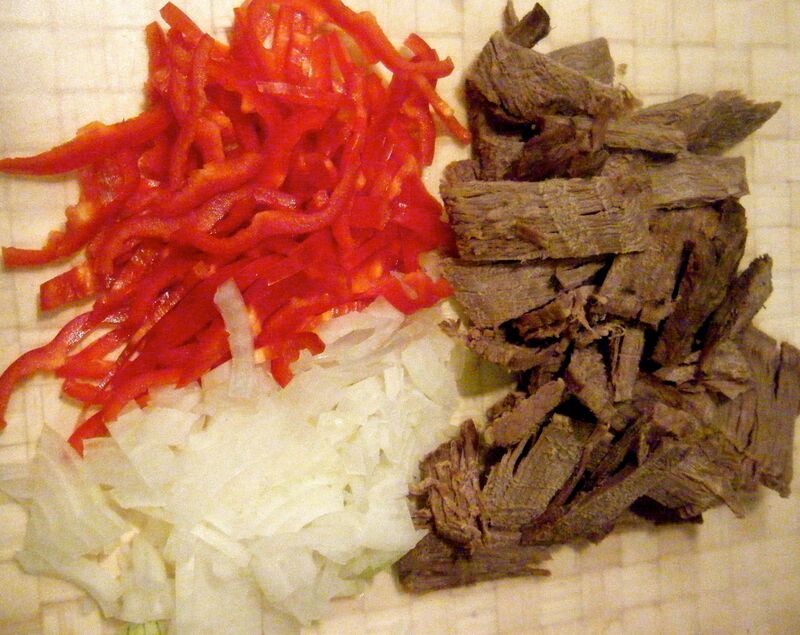 Once the leftover beef was cool, I got my sharpest knife and carefully cut it into very thin slices. Practical tip: slicing the beef as thinly as possible seems to be key to this dish. If you are using fresh beef steak, most recipes call for the steak to be chilled in the freezer for 30-45 minutes as this makes it easier to slice the beef as thinly as possible. This is a very simple ingredients list and it could be expanded by adding mushrooms, a bit of garlic and maybe even jalapeños if you like a bit of heat. However, Dave requested we keep it simple and so I stuck with just the 6 ingredients listed above. I started off by frying the onion for a few minutes and then adding the pepper to the pan. I let this cook away for about 8 minutes over a low-medium temperature until the veg was nice and soft. I removed it from the pan and added a little more oil before frying the beef. At this point I cut my buns in half and popped them under the grill to heat through. They were under a medium heat for around 5 minutes which was just long enough to add a little crunch to the surface without loosing the fluffiness of the bread. With the buns almost done and the beef heated through, I returned the onion and peppers to cook for a couple more minutes. Finally, I added the cheese slices and once these had melted, I gave it a good stir to mix it all together. I then added the cheesy-beef mix to the heated rolls and added a side of sweet potato fries. All in all, I enjoyed my first Philly Cheese Steak and this really was a perfect Monday night dinner. It used up the sunday roast leftovers and was so quick to make. 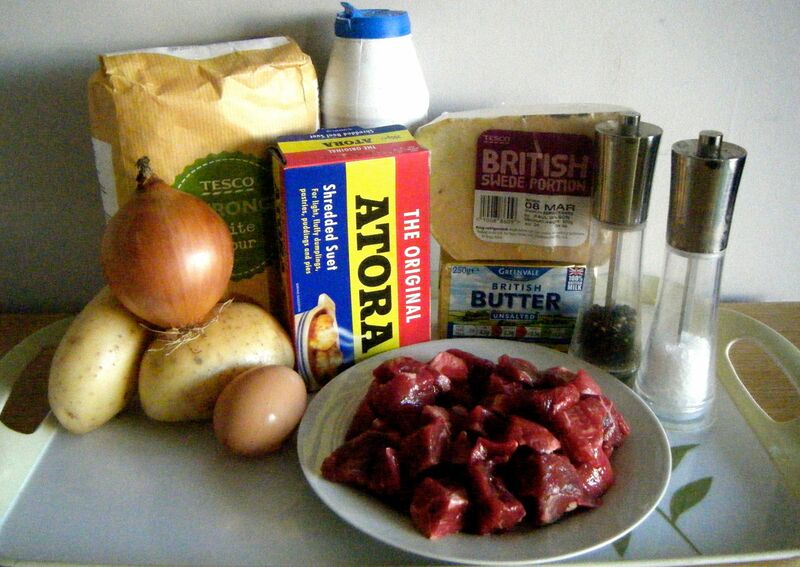 I am planning on making this again and next time I’ll give it a go with fresh steak and a few extra ingredients, just to see what its like. This dish is said to be an important part of the Cornwall county culinary history. 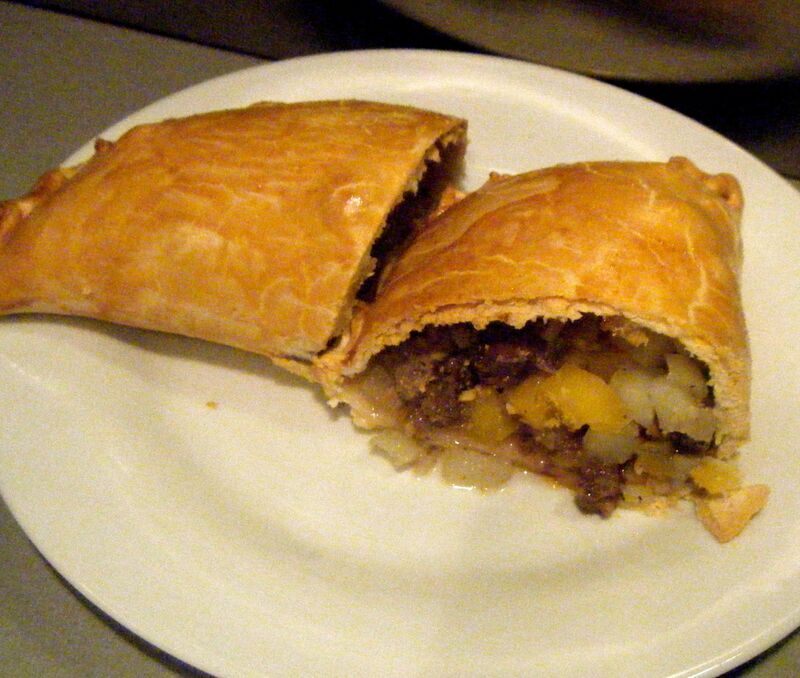 The first references to cornish pasties appeared in the 13th century and during the 18th/19th century, it was a staple part of the diet of working men in Cornwall. 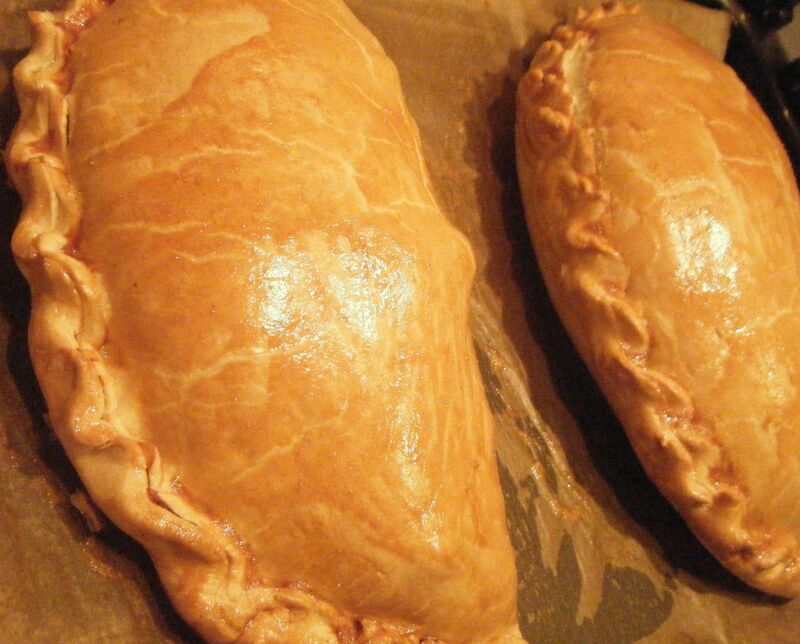 The wonderful thing about a Cornish pasty; it contains a meal within its golden crust. When handled by miners/farmers, the thick crust could be held with dirty fingers and thrown away at the end. Today, it is enjoyed by many people (not just the miners/farmers) and we don’t throw the crust away – I mean come on, its one of the best bits! I did a quick search and found a recipe by one of my favourites, Paul Hollywood. You can find the recipe here. I started by putting all the pastry ingredients (except the egg) into my bowl and used a wooden spoon to combine the ingredients. 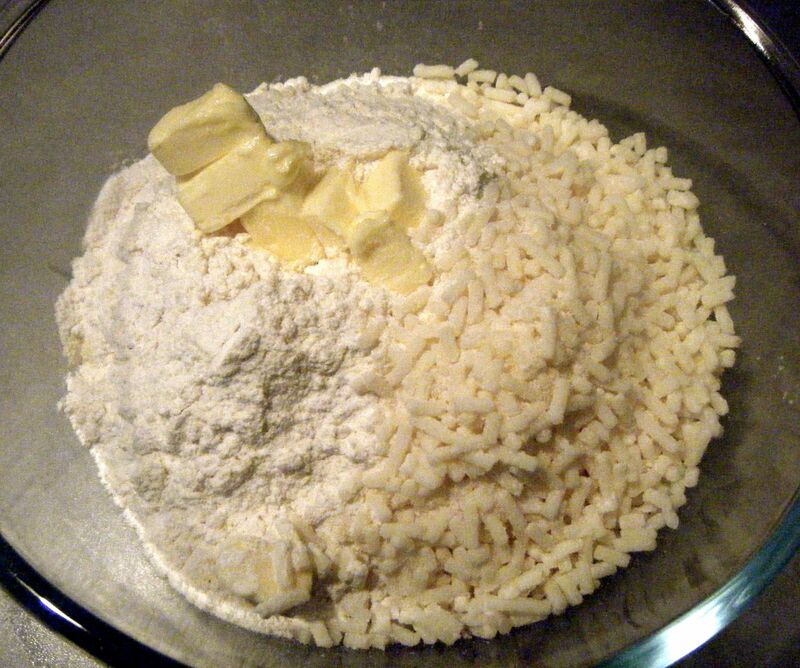 I then used my hands to crush everything together to form a dough. It didn’t really form into a ball very well (it was so dry) but I tipped it out onto the worktop and started kneading to bring it together properly. Oh my gosh, this was such hard work! I watched the video included on the recipe link and Paul Hollywood makes it look so easy. I however was literally have to put my full body weight into the kneading and it was a real work out. Dave even had a little go but he didn’t quite get the technique right and was just kind of squashing the dough. Anyway, after I took over again and gave the dough a last few bits of vigorous kneading, I had my smooth and glossy ball. Practical tip: develop your own method of kneading. This may sound silly but when I first starting making bread, I tried to replicate other people’s kneading styles. Unfortunately, I have bad joints, particularly bad in my hands and I found it painful to use some of the methods I’d seen on TV. Instead I found I rolled and stretched the dough between my two hands, using more of the heel of my hand than my fingers. It takes a little longer for me to knead like this but I always get there in the end and it is less painful 🙂 So find a method that works for you and just go with that. With the kneading done, I wrapped the dough in cling film and popped it into the fridge for 60 minutes. I then got started on the filling ingredients. 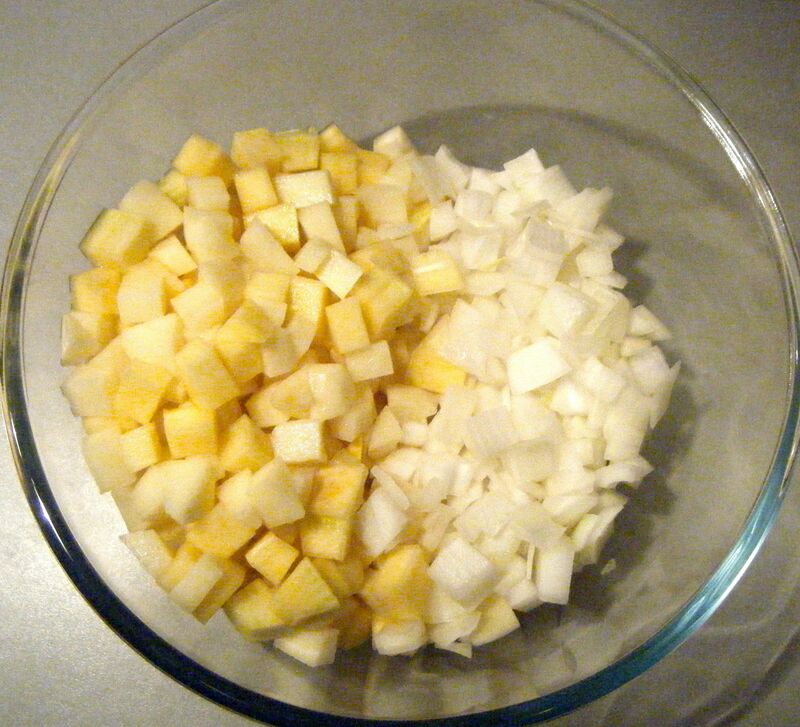 I chopped the potato, swede and onion into what I thought were reasonable sized cubes. I knew Dave was going to be a bit funny about eating this dish (he likes Cornish pasties but he hates chunky vegetables) and to try and keep him happy, I asked him to ‘approve’ the size on my cubed vegetables. He said they looked too big and was concerned they wouldn’t cook properly. I re-read the recipe and sure enough, I’d cut them to about double the size suggested. So I re-chopped to make them smaller. I cut my braising steak to similar size cubes and put all the ingredients into a bowl, mixed and seasoned with salt and pepper. 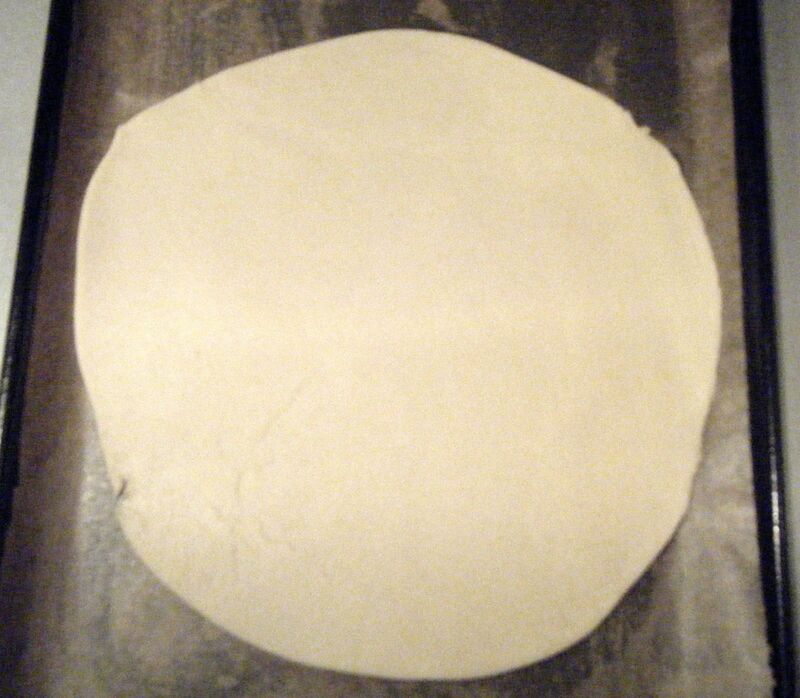 I divided my dough into 4 pieces and took the first piece to roll into a disc of approximately 25 cm. Practical tip: in case you missed Challenge No. 11, when rolling out pastry (or fondant, or pretty much anything you want to roll), always roll from the middle up and middle down. If you roll from top to bottom you’ll end up with a really fat bottom, whereas rolling from the middle helps to keep an even thickness all the way through. 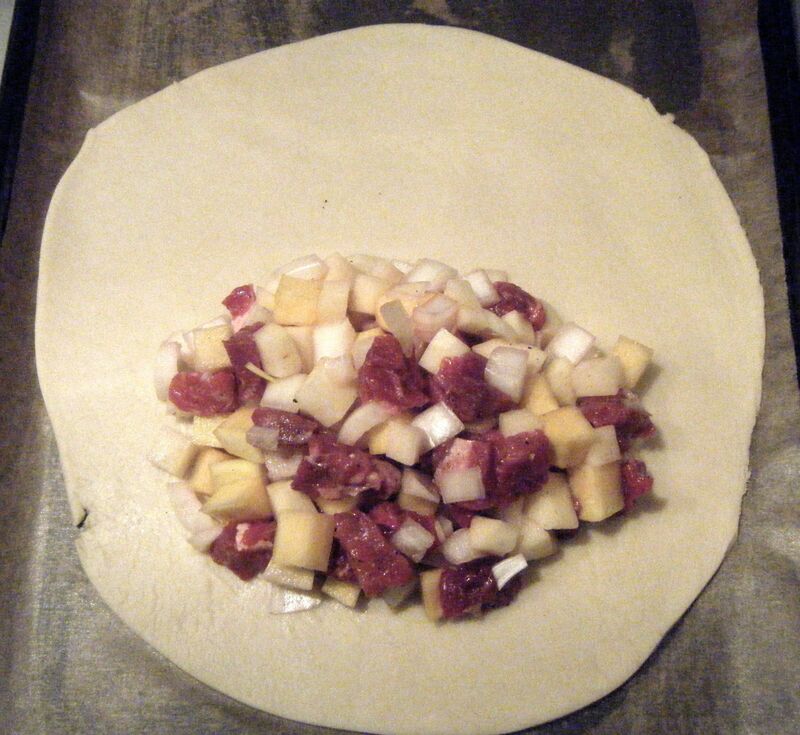 I then spooned a quarter of the seasoned mixture onto one half of my pastry circle. The recipe says to add a knob of butter/margarine before folding over the pastry but I accidentally missed this bit. Paul doesn’t add any butter/margarine in the video so I decided it wasn’t a problem that I missed this stage. 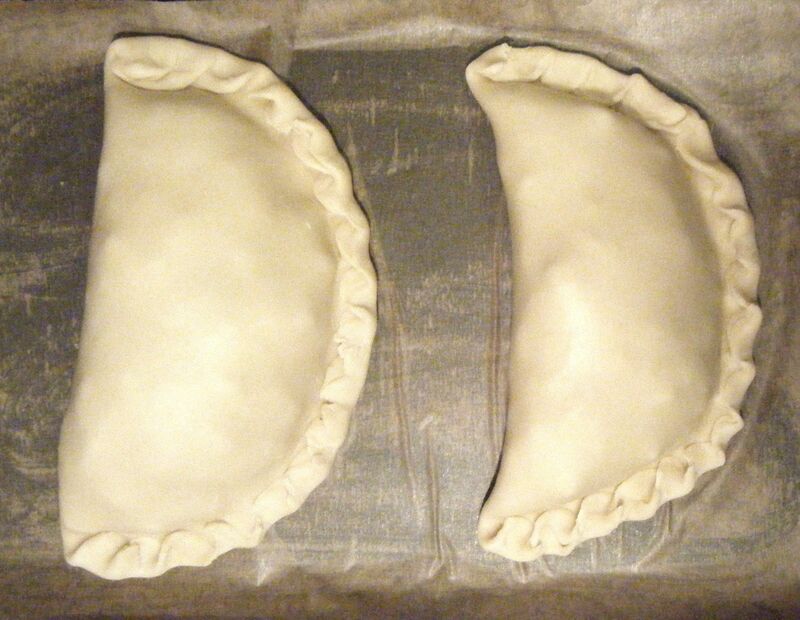 With two pasties in the freezer, I brushed the remaining two with the egg and salt mixture before putting them in the oven for 45 minutes. When the timer went off, Dave and I tucked into these glorious looking little (okay huge!) parcels of goodness. We both really enjoyed them, strangely Dave a little more so than me. I have to admit the first few mouthfuls left me a little disappointed but the flavour soon developed and I started to appreciate it more. 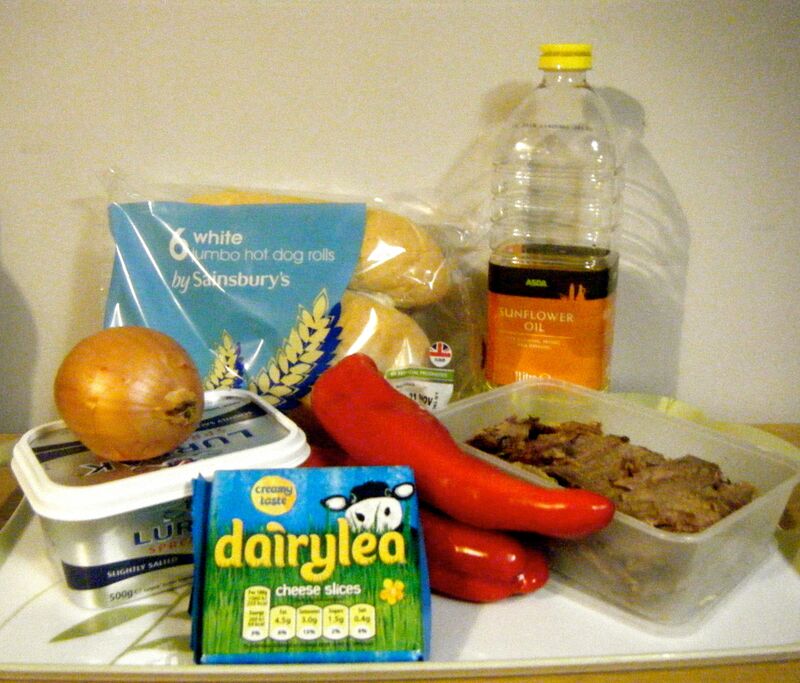 To improve it, I think it could have done with more seasoning – I was probably a little too cautious with this. Also, I thought it was a little dry in the middle and I wonder whether putting the knob of butter in with the filling would have helped with this. Whilst the filling definitely had room for improvement, Dave and I thought the pastry itself was great and overall it was a very tasty dinner.